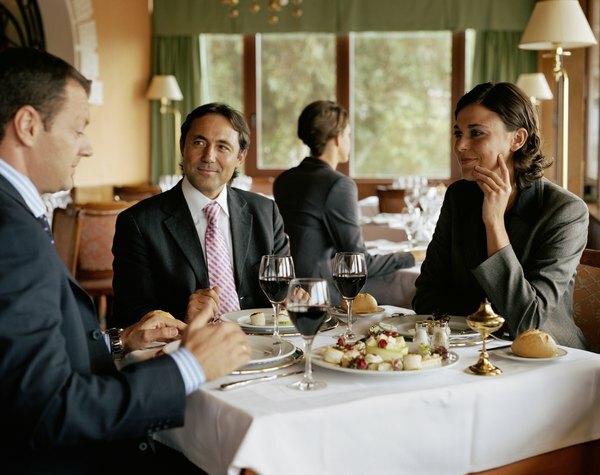 The IRS prefers written receipts when you try to deduct business meals. 1. Are Expense Deductions Without Receipts Tax Deductible? 2. Must I Have a Receipt for All Deductions? Tax time can be tricky, especially if you live in fear of an audit. Some are even so determined to avoid that dreaded audit notice they skip claiming things if they don’t have a receipt. But although documentation will help if you ever are audited, it isn’t the be-all and end-all when it comes to the IRS. A few small but understandable expenses can easily slip by even the strictest auditor. Although you may be able to miss a few expenses without receipts, it’s best to have documentation on as many of your itemized items as possible. If you’re self-employed, you’re likely all too familiar with claiming your business expenses. You save your receipts throughout the year and itemize expenses all on your taxes. There are even apps that let you scan your receipts on the go, maintaining an electronic copy for your records. However, even if you’re diligent about saving receipts, one can eventually slip through the cracks. Generally speaking, you should have a receipt for every expense if you’re self-employed and itemize deductions. However, if you’re traveling and claiming food and other nonlodging incidentals, you don’t need a receipt unless the expense is $75 or more. Due to the Cohan Rule, passed in the 1930s, if you can prove using “other credible evidence” that you spent the money, you can go receiptless. This may mean pulling out your credit card statement or showing the auditor that you were on a business trip when you purchased a dinner and, therefore, the hotel, gas and other receipts you’ve provided demonstrate that the one dinner you don’t have a receipt for did, indeed, happen. Chances are, though, the proof won’t even be necessary since you likely have less than a 1 percent chance of being audited if you make between $25,000 and $100,000 per year. At one time, taxpayers could claim their expenses even if they weren’t self-employed. Known as “unreimbursed employee expenses,” filers simply itemized their work costs under miscellaneous deductions. The 2018 tax changes have eliminated unreimbursed employee expenses. However, businesses and independent contractors can still itemize expenses. If you’re still filing your 2017 taxes, you can still claim unreimbursed employee expenses, as long as they meet IRS guidelines. The expenses must have exceeded 2 percent of your adjusted gross income that year and you’ll need to itemize. Your itemized deductions must exceed the standard deduction, which was $6,350 if you were single or $12,700 for married couples filing jointly. NOLO: What Are the Odds of Being Audited? NOLO: Can You Deduct Unreimbursed Job Expenses?